In the recent years, the Nordic style of interior design has captured attention. Whenever you open the Pinterest or Instagram, the page is loaded with similar airy, chic pictures from different bloggers. Many who appreciate the Nordic style genially refer to this minimal and low-casted feeling as Normcore, a term more frequently heard in the fashion world. Here we will focus on a similar style in interior design. We have always been fans of it since it keeps the look very clean and simple with natural materials and creates the illusion of more space. When exploring Nordic design, we are also drawn to elements of Japanese interior design, since both highlights the practical and minimal aspects of life. So let's discuss the differences between these two styles! We are in love with Nordic minimalism and functionalism. Even though the Nordic style of interior design is still incipient (started in the 1900's) it has become a “must” style for all interested in interiors. When mentioning Nordic style, you cannot help but be reminded of Japanese interior design. Compared to Nordic, Japanese style is more immemorial, having a history that dates back at hundreds of years. Where Nordic interior decoration stresses simplicity emerging from practicality, Japanese style favors the harmony evoked from similar color tones and natural materials. Whichever you prefer, combining elements of both styles can create a visually pleasing space. When you look at both styles, you are able to sense emptiness, yet the “emptiness” has opposite definitions in these two styles. For Nordic style, designers have a tendency to brighten the room with white as the dominant color and display most of their personal items and unique decorations in the open. However, this is never the case in the Japanese style of interior decoration. People in Japan obey the convention of being modest and earnest, and these beliefs extended into their lifestyle. The emptiness is engendered by natural color schemes, such as beige, maroon, and dark green. Where Nordic style is meant to capture the ambient sunshine, then Japanese style is designed to soften the light and to achieve inner peace. Also, for indoor displays, Japanese-style designers tend to transform furniture into closets. By keeping the space neutral, it stays flexible and adapts to different designs. When you think of Nordic designs, you are more likely to think of specific furniture pieces instead of the overall styles of room decor; however, when you think of Japanese designs, it is always the overall styles that first come to mind. Let's take a look at some of the most distinctive characteristics of these two styles. Nordic Style: More flexible. In the Nordic Style, designers have the freedom to use any material that is accommodated with the overall design. Wood, metal, steel, knit, stone and even a branch can contribute to the animated atmosphere. Japanese Style: More abstemious. Materials are limited to wood, cotton, plastic and china. Designers focus more on the comfortable feeling rather than the visual experience. Nordic Style: Designers prefer plants with immense leaves that are more diffusive. 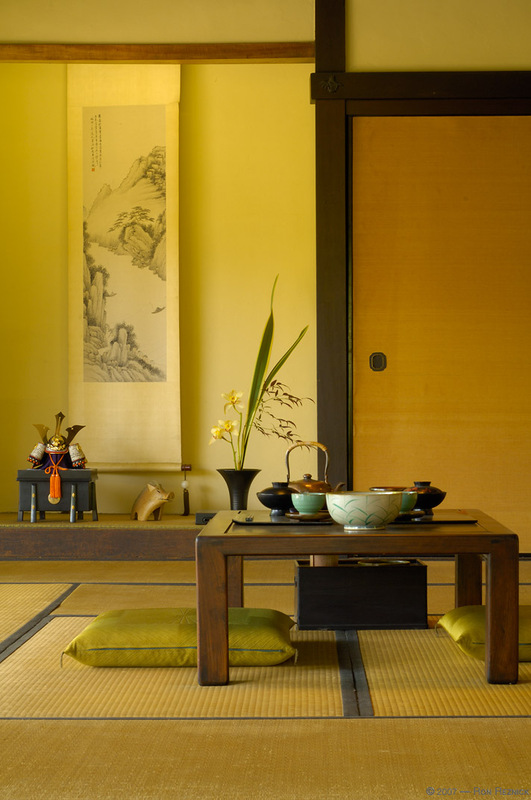 Japanese style: Designers prefers decorations that are small and more subtle. Both the Nordic and Japanese styles function beautifully on their own or can complement each other in a harmonious arrangement. The key factor to designing a house is your own definition of and relationship with your home. Do not forget to send us pictures of your designs! We do feature your designs on our social media! Come and join us!